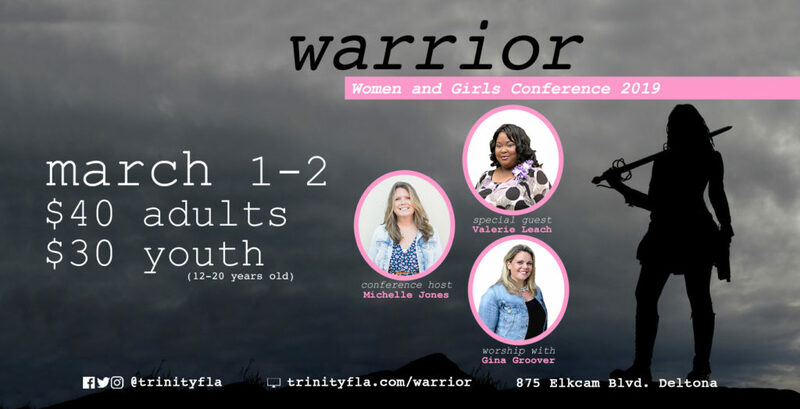 We would love for you to join us at our Warrior Women’s Conference here at Trinity Church! We will experience God’s empowering love and rise up to walk in victory and purpose. God is our Defender, We are Warriors, We will Prevail!